Executive Travel Management is excited to partner with Cottage by the Sea where $1.00 from each online booking made by our corporate clients is donated to Cottage by the Sea. Cottage by the Sea is a non-government, not-for-profit registered charity located at Queenscliff Victoria that provides inspiration, fun and opportunity for disadvantaged young people in a positive, healthy, seaside environment. Their vision is that every child deserves a happy and a healthy childhood. They offer children and young people inspiration, fun and opportunity through diverse programs offered in a wide range of environments. During their camp experience, they provide opportunities for building positive relationships with peers and adult role models to help participants learn and grow. Ambassadors of Cottage by the Sea include; Rod Laver MBE,Curtis Stone, Patrick Dangerfield, Rebecca Maddern with Frank Costa OAM as its Patron. Executive Travel Management are a proud platinum partner of Medimime Productions Inc. Medimime Productions incorporated in a non-profit organisation, established in 1974 by Geelong Hospital staff. Each year this group of volunteers produces pantomime’s in true English Christmas Tradition. For over 40 years Medimime has contributed over $470,000 towards vital medical equipment in Geelong. The production of Aladdin in Dec 2018 will raise funds towards the Kids Appeal. A LIFE-CHANGING REHABILITATION FACILITY WILL HELP MAKE DREAMS A REALITY FOR MANY GEELONG CHILDREN AND FAMILIES, WITH HELP FROM THE COMMUNITY. The Barwon Health Foundation Kids Appeal will be raising funds for a brand new rehabilitation centre for Geelong children and youth. This exciting new project will only be possible with local support and will be fully funded by the community. The state-of-the-art centre will include a gym, consulting rooms, a therapy kitchen, playground and private treatment rooms. It is hoped this project will reach its goal of $3 million within three years, through generous community support. Executive Travel Management is a Partner to Australia’s largest amateur theatre company: Centerstage in Geelong. 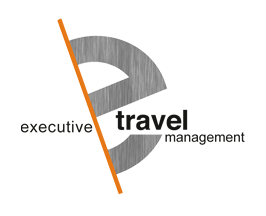 During this partnership throughout 2017 and into 2018, Executive Travel Management provides multiple theatre scholarships for the northern suburbs of Geelong. In addition to the scholarships, ETM has facilitated corporate sponsorship to assist with making costumes, sets and numerous elements for shows in 2017 including Chitty Chitty Bang Bang, Oliver and Bending Broadway. At Executive Travel Management we believe that scholarship recipients not only learn their skill set yet more importantly they learn the importance of philanthropy and giving back. Without the kindness of others, the road to achieving their musical theatre goals would likely have been much more difficult. Hopefully, this sentiment continues with them through life and they find ways to donate to scholarships themselves in the future. CenterStage Geelong is a not-for-profit organisation run buy a volunteer Board of Directors located in North Geelong providing a family orientated environment for performers, technicians and professionals to hone their skills both on and off stage at the Geelong Performing Arts Centre. CenterStage offer children, teenagers and adults the ability to attend tuition programs, workshops and ultimate theatre shows. 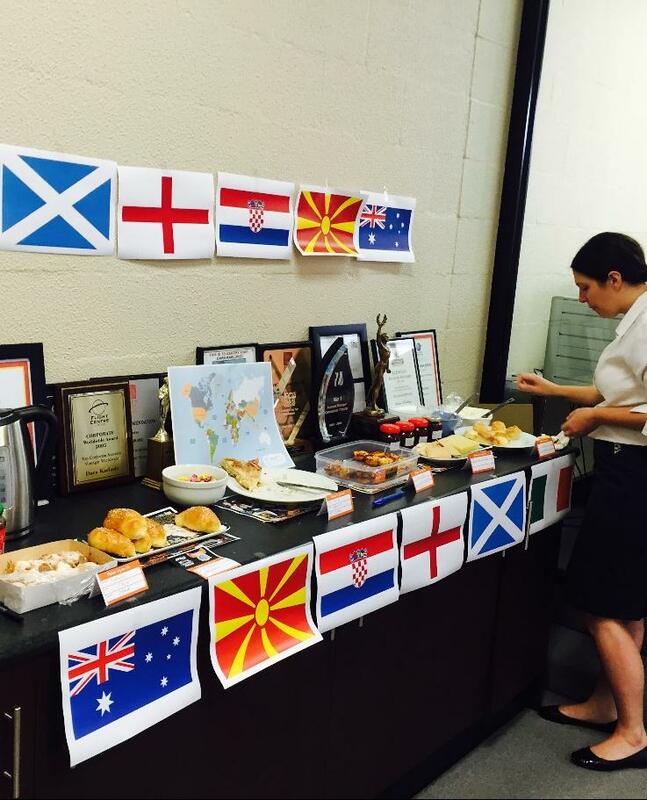 Funded by the Scanlon Foundation, workplaces are asked to register and then organise a lunch or afternoon/morning tea and encourage workers to bring a dish that represents their cultural background or from a culture they might not have tried before. At the event workers are encouraged to share stories of their cultural background. The intent of A Taste of Harmony is to support organisations and their workplaces to recognise the value that cultural diversity brings. One of the most effective ways to do this is through casual conversations over a meal. This campaign, over its history, has brought well over 5,000 workplaces together each year and at every workplace lunch table stories are shared. Sharing stories enables us to get to know our colleagues better, to learn a little more about who they are and the interesting journey’s that everyone has brought to their workplace. The Committee for Geelong (CfG) released its international research paper “Winning From Second: What Geelong Can Learn From International Second Cities” on 23 November 2016. The paper was compiled with the assistance of the United Nations Global Compact – Cities Programme and RMIT’s Centre for Urban Research, and with support from the Commonwealth Bank. The Plan Melbourne Refresh Discussion Paper recommends that Geelong be formally recognised as Victoria’s second city, and that proposals for accelerated growth be included in the plan. To support wider Government policy thinking on second cities, the CfG undertook an international study tour to broaden its research on ‘Second Cities’ a nd gain first hand insight into how cities across Europe and the United States of America have achieved significant change and transformation following the decline of their previous main industries. Click the image below to read the full report. CfG Chief Executive Officer Rebecca Casson says the research provides Geelong with significant direction to guide the transformation of the city’s economy, and further drive the future vision and strategic plan. “We met with the cities’ leaders and the communities to better understand how different groups worked together to form their city’s new identity and facilitate growth, and we believe there are some key learnings that can be applied to Geelong” said Ms Casson. Branding of Geelong including; differentiating from major cities, as a place to live and invest; Offering high quality of life through waterfront developments, food, arts and culture, sport and revitalised city centres. “Lifestyle and amenity is another big point, Geelong needs to continue to showcase itself as a fantastic place to live, with plenty of entertainment, leisure, culture and retail attractions, inviting more people to settle in Geelong” Ms Casson concludes. The ‘Second City’ research was supported by the Commonwealth Bank as the Lead Research Partner of the project, together with other partners including; the Victorian State Government Department of Environment, Land, Water and Planning (DELWP), the City of Greater Geelong, Transport Accident Commission (TAC), Executive Travel Management, Geelong Port, The Gordon, Lovely Banks Land Owners’ Consortium, Victorian Regional Channels Authority, Tract Consultants and Opteon Property Group. Executive Travel Management has participated in the Regional Youth Leadership and Participation Project, funded by the The Office of Multicultural Affairs and Citizenship by mentoring and placing work experience candidates at Executive Travel Management, Geelong. Executive Travel Management is proud to support the work of The Streets Barber, Nasir Sobhani to change lives of the homeless in Geelong and Melbourne.